What do the Top Mexican Riviera Cruises include? Port cities on Mexico’s west coast are often referred to as the Mexican Riviera. This is because of their popularity with tourists and the beachfront resorts which dot the coast. Most major cruise lines offer a variety of Mexican Riviera cruises, varying in length from three to 10 days. About 20 cities are part of the Mexican Riviera; with about half of them being popular cruise-ship stops with lots of things to see and do. Five ports you will find on virtually every Mexican Riviera itinerary are Acapulco, Cabo San Lucas, Ensenada, Mazatlan and Puerto Vallarta. When Is The Best Time For a Mexican Riviera Cruise? Many major cruise lines have scaled back to offering only seasonal service, but the Mexican Riviera is a year-round destination. Find the best cruise deals during the shoulder seasons during September and June. The country’s climate has several factors to take into account. Mexico’s dry season runs from December to April. Its coolest period is December through February, and the wettest period is May to October. Count on summers to be hot and humid. The most pleasant conditions occur in late fall and early winter. Hurricane season in Mexico and surrounding waters runs from the beginning of June through November. While the chance of a cruising through a hurricane is unlikely, it’s worth thinking about the risk to safety and vacation fun. 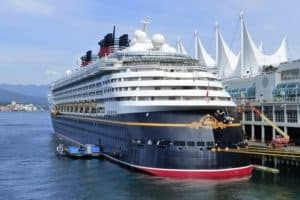 Cruise lines use technology to adjust when necessary to keep passengers safe, but hurricanes can disrupt a cruise experience or lead to a cancellation. 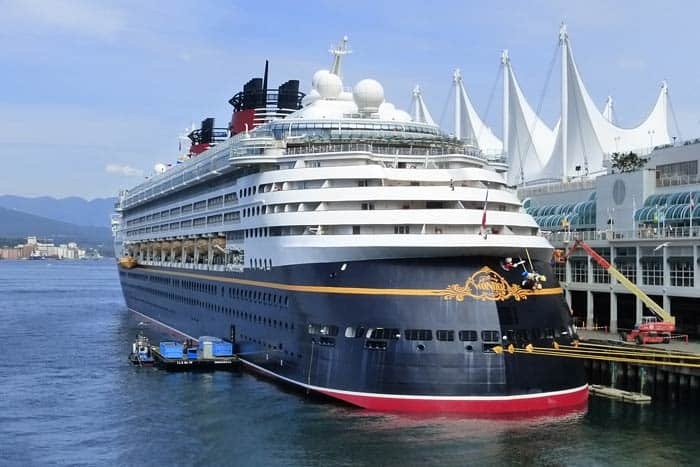 Carnival and Disney have three-night sailings from San Diego and Los Angeles to Ensenada. 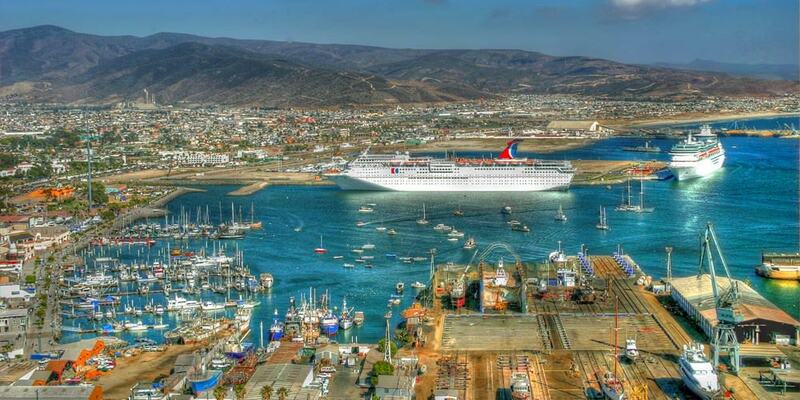 They also offer four-night cruises to Ensenada that include a stop on Catalina Island. These short “Baja California” cruises are perfect for first-time cruisers, family reunions and wedding parties. 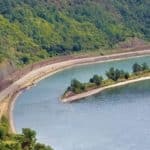 This is the most popular option for a Mexican Riviera cruise, these cruises usually include a two-night stop in Cabo San Lucas or Puerto Vallarta, or they make a stops in Mazatlan. What’s great this cruise itinerary is that you have time to explore the nightlife (in Cabo) and restaurants (in Puerto Vallarta). 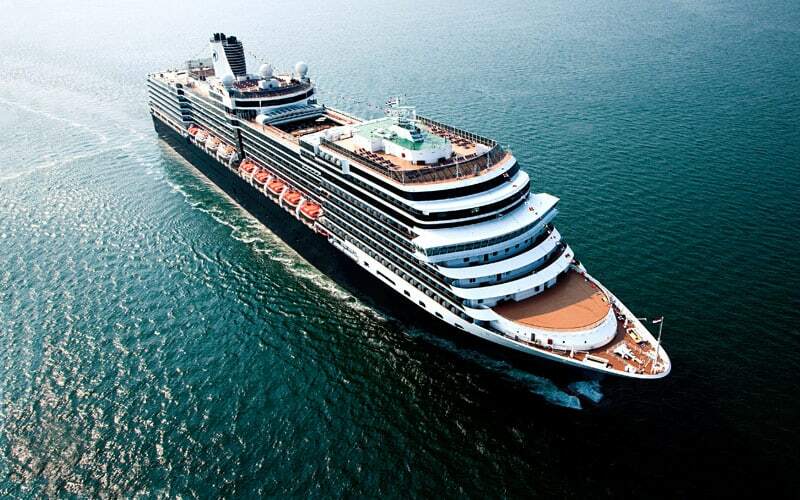 Princess and Holland America have 10 and 12-night cruises that stop at Mexican Riviera ports. They also visit Mexican cities on the Sea of Cortez, including Loreto, La Paz, Guaymas and Topolobampo. 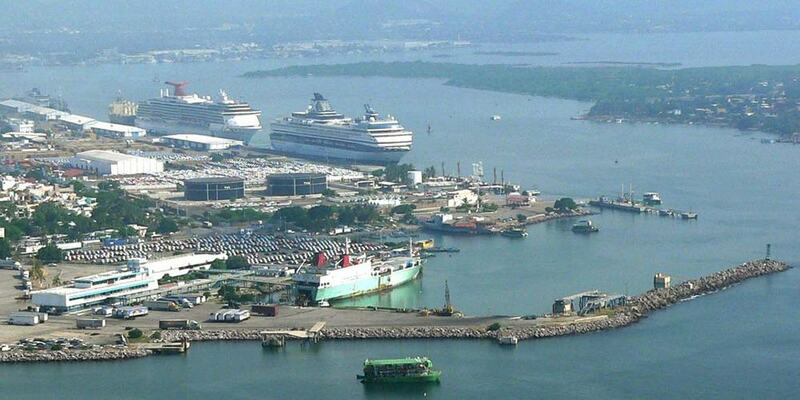 Most Panama Canal cruises also include stops along the Mexican Riviera. Besides stopping in the ports of Cabo San Lucas, Mazatlan and Puerto Vallarta, other stops can include the ports of Ixtapa, Zihuatanejo, Santa Cruz, Huatulco, Manzanillo and Puerto Chiapas. Acapulco was Mexico’s first tourist resort area and has a few iconic sights that you should be sure not to miss. The cliff divers of La Quebrada perform the death-defying stunt of leaping from heights of up to 100 feet into churning waves below. Other options include taking a glass-bottom boat ride to Isla Roqueta, where you can enjoy tranquil beaches and snorkeling. Or visit the Fuerte San Diego to learn about Acapulco’s early history. Situated on the tip of the Baja Peninsula, Los Cabos is made up of two towns, Cabo San Lucas and San Jose del Cabo. This is a great spot for enjoying water sports such as snorkeling or diving, and whale watching in season. For those looking for arts and cultural attractions, head to San Jose del Cabo, a twenty minute drive from Cabo San Lucas, and take a walk around the historical center and art district. This island is a prime tourist attraction for day trippers and cruise passengers alike. Catalina Island’s main town of Avalon is lined with boutiques, shops and restaurants, all an easy stroll from the Green Pleasure Pier, where cruise passengers arrive. Take a glass-bottom boat ride, or rent a bike for a few hours. Don’t miss a guided tour of the historic Avalon Casino; it’s a peek into the World War II era, when young couples from the mainland would flock to the island every weekend to dine and dance to the music of the most famous big bands of the day. Located just 70 miles south of the United States border in Baja California state, Ensenada is popular among tourists for fishing and surfing, as well as being home to Mexico’s premier winery Bodegas de Santo Tomás. You could just stroll the center of town, see the Plaza Civica, and the Cultural Center, do some souvenir shopping and sample some seafood, but if you would like to venture further out, visit La Bufadora, the world’s second-largest marine blowhole, or take an excursion to wine country. Of all the destinations on the Mexican Riviera, Huatulco is the newest tourist resort development. The area where the ship docks has a shopping area, small marina, and the Santa Cruz beach with water sports and ​beach-side restaurants. 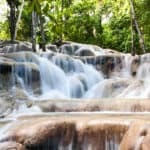 Some day tours include visiting coffee plantations, a tour of the Copalita archaeological site, hikes and bird watching in the Huatulco National Park, and a visit to the sea turtle sanctuary in Mazunte. Ixtapa and its 0,neighboring city Zihuatanejo, share a beautiful setting, with crashing waves of the Pacific to the west and the Sierra Madre mountain chain to the east. But Zihuatanejo feels like a small fishing village, whereas Ixtapa has modern hotels and more tourist amenities. Visitors here enjoy relaxing on the wonderfully clean beaches. More active types can sign up for cycling, kayaking, snorkeling and bird-watching tours, or give sport fishing a try. Mazatlan is 270 miles north of Puerto Vallarta. With golden beaches, and vibrant nightlife as well as a host of water sports and wildlife watching activities available, Mazatlan has a lot to offer. Explore town and board one of the golf cart taxis known as “pulmonias,” or take a day trip to one of Mazatlán’s picturesque islands, such as Isla de Venados (Deer Island), which can be explored on foot or by kayak. If you’re looking for an adrenaline rush, check out the Huana Coa Canopy Adventure. Puerto Vallarta is located in the beautiful Banderas Bay. This seaside town gained prominence as a tourist destination in the 1960s when it became popular with Hollywood stars. It still has plenty to offer, and improvements to the center of town have helped to keep its appeal fresh. Cruise ship visitors should take some time to stroll along the malecon, and visit art galleries. Since this is one of Mexico’s foremost foodie destinations, sample some of the wonderful cuisine at Puerto Vallarta’s great restaurants. The Disney Wonder has family-oriented amenities and entertainment offerings like the classic meet and greets with Disney characters. The ship offers plenty of activity with 10 designated family areas, five youth clubs and seven adults-only spaces. While younger passengers can play at age-appropriate clubs, grown-ups can relax at the adults-only Quiet Cove pool. Disney Wonder offers six options, including one adults-only specialty restaurant. At night, adults can unwind and enjoy After Hours, a section of the ship that features three nightclubs and lounges. Like the rest of the ship, staterooms are designed with families in mind. Interior staterooms can accommodate up to four passengers, while larger Suites can sleep up to seven guests. All cabins come equipped with flat-screen TVs, seating areas and classic Disney designs. The Royal Princess has unique features like a top-deck pool and the SeaWalk, a glass-paneled walkway that stretches 28 feet beyond the ship’s edge, make Royal Princess stand out among competitors. On board activities include an indoor driving range, duty-free boutiques and educational programming through Discovery at SEA. Younger passengers can participate in age-appropriate youth clubs while adults play games in the casino or sip cocktails from one of multiple lounges. When it’s time to dine, passengers can choose from three main dining rooms, four specialty restaurants or six casual eateries. 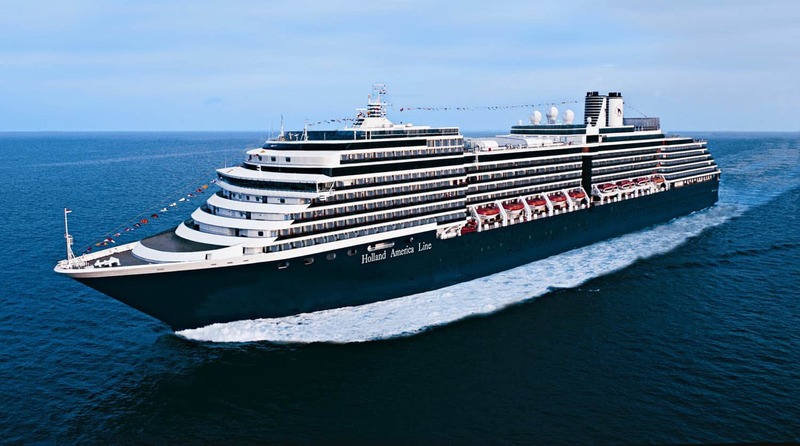 The ms Nieuw Amsterdam is famous for its extensive art collection valued at more than $3 million. Guests can admire works from Andy Warhol and Roy Lichtenstein through a complimentary self-guided iPod tour. 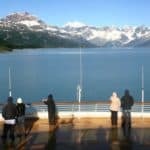 Passengers can also pass the time by the pool or in the Greenhouse Spa, while more enriching programs include the new America’s Test Kitchen, the BBC Earth Experiences and photography classes in the Digital Workshop, powered by Windows. While the ship offers youth clubs for kids ages 3 to 17, most activities are geared towards adults. Guests can choose from nine restaurants, including the popular Sel de Mer French seafood restaurant and the new Master Chef’s Table Pop Up that’s available on sailings of eight nights or more. 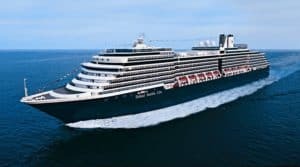 The ship’s 11 deck include six cabin categories, ranging from Interior staterooms (151 to 233 square feet) to Ocean-View and Verandah staterooms as well as Signature, Neptune and Pinnacle Suites. All cabins come equipped with Sealy Euro-top mattresses and flat-screen TVs. There is a versatile section of nine dining venues. 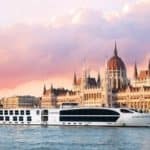 Most notably, the ship offers the Sel de Mer French seafood restaurant and the new Master Chef’s Table Pop Up that’s available on itineraries that are eight nights or more. Activities range from the new America’s Test Kitchen to the BBC Earth Experiences. More active pursuits includes two swimming pools and sports courts. In the evenings, passengers can also sip cocktails at one of the bars and lounges or take in a show at the Lincoln Center Stage or B.B. King’s Blues Club. hours at the top-deck nightclub. Select and book your Mexico shore excursions in advance, when you book your cruise, instead of waiting to book them while you are onboard. 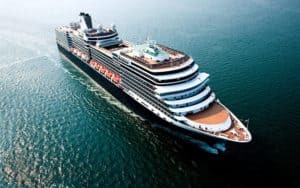 Many of the more popular shore excursions, such as swimming with dolphins, sell out in advance, and waiting until the night before may lead to bad news from the ship’s concierge. Heading ashore without a booked shore excursion can be dicey, since the legitimate tour operators generally won’t take drop-ins and there’s often not much to do in ports except shop, even in so-called tourist Meccas like Cabo San Lucas. Best shore excursions for the Mexican Riviera include snorkeling trips, swimming with dolphins, and in Ensenada, a road trip to La Bufadora, the town’s famous blowhole. Passengers on Mexico-bound cruises are inevitably bombarded the moment they come on shore with people begging for money, generally children selling Chiclets or other candy. The grateful smiles are worth a quarter or two. Vendors in Mexican mercados are accustomed to haggling over price, so never pay the marked or state price. It’s the way business is done. On the other hand, don’t be rude and don’t offer vendors a ridiculously low price. A good rule of thumb is to settle for about 20 percent off the original price. Cruise lines often reserve the right to change destinations in cases of severe weather. 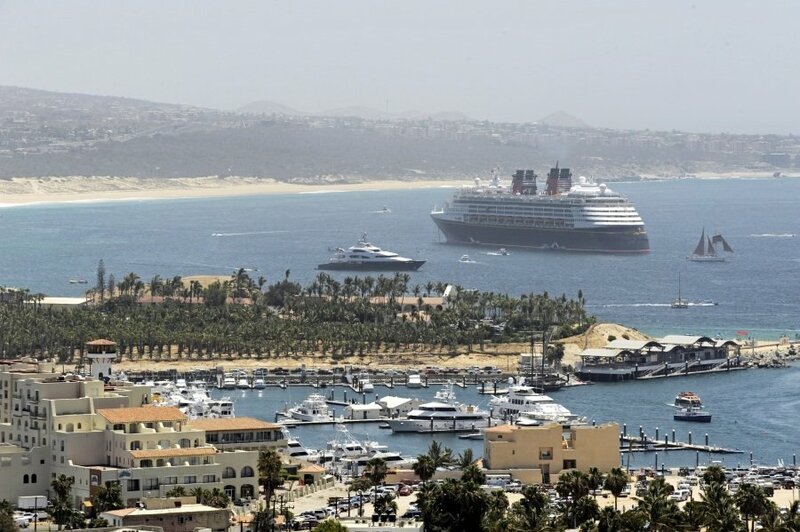 Cruises to Mexico have been known to substitute U.S. ports like San Diego and Avalon, on Catalina Island, at times when the Baja peninsula is hit with a hurricane. While the vendors, waiters and other service workers in Mexico ports of call invariably speak English, learning a little Spanish, and using it, is seen as a gracious sign of respect for their culture. Learn a few phrases and try them out. It’s an old saying, but one rooted in truth. Sanitation standards in Mexico aren’t up to par with those in the United States and tap water should never be ingested. Stick with bottled water. Wow the pictures of these beaches and area around them are sure beautiful. I hope people appreciate your attention to detail by including the seasonal information. Knowing when it is the wettest and hottest while considering the hurricane season is helpful. Many might not think of it when booking. Acapulco sure is beautiful. I’ve always wanted to watch the cliff dives up close. The historical center and art districts are my thing. I’ve read that San Jose del Cabo’s art district has some interesting paintings and jewelry. The sea turtle sanctuary sounds interesting in Mazunte. The area was being cleared of sea turtles at one time. They began making laws protecting them and now it’s all a sanctuary for them. Tourism is sighted as a reason for the protection of the sea turtles. Many of the people that once fished for the turtles now host tours for visitors. It’s pretty cool. Who doesn’t like a scary zip-line?” That Huana Coa Canopy adventure sound intense but fun. I just read the bit about the Royal Princess. I had no idea those ships were so big there is room for an indoor golf driving range. Seems insane. 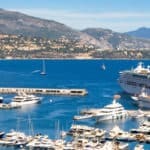 Great post about the Riviera Cruise possibilities. Where’s the next beach destination you plan on reporting to us? It would make a great honeymoon for you 🙂 A Mexican Riviera Cruise is wonderful and it would be so romantic! Thanks for stopping by and reading about the Top Mexican Riviera Cruises. I love your tips and detailed explanations of the sites and some things to do and what to expect. I am definitely bookmarking your site for my future cruise plans!! Thanks Karin and I am glad I can help. If you ever have a question, please let me know. I would be more than happy to help you start planning your cruise! I do believe you have covered it all. What an excellent site. I am impressed. I’ll remember to look you up when I am ready to take my next cruise. Keep up the good work! Thank you so much Fran and for visiting the Top Mexican Riviera Cruises. Wow what a beautiful part of the world! 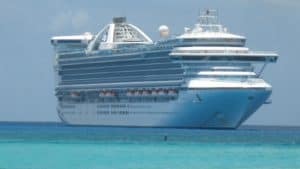 I’m fascinated by the number of different cruise ships available, will have to put Mexican Riviera cruises on my bucket list 🙂 Thanks for travel tips as well! You are welcome Lotta. The Mexican Riviera is a great choice for a cruise. I have taken this cruise myself and I had a blast 🙂 Please let me know if you have any questions. Wow, I have not experienced a cruise before, but when I do, I definitely want to go on a Mexican Riviera Cruise. Thanks for all the great info! Oh, you will love a cruise! A Mexican Riviera cruise is a great first one to take too. Thanks for stopping by ! Oh my! It’s just amazing. Do you know if there is any European port from which you can take a cruise to Mexico? Yes there is Dany, and I would recommend Viking Cruises. They are your best bet for taking a cruise to Mexican ports from Europe. There are other cruise lines as well, and that would make a magnificent cruise! Thanks for stopping by! Oh man, that Mazatlan beach looks incredible! Looking forward to when I can actually afford to take my wife on one of these cruises. Also, thanks for the tip about drinking the water. I had a friend who got quite sick from that a few years back. 🤢 Thanks for being such a great resource! You are very welcome Ryan. 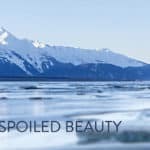 If you think about a regular land vacation with hotel, food, rental car, and activities. These all add up. A cruise is going to cost the same or less. I went on a Mexican Riviera cruise with the girls and we paid a little over $300 a piece! That was it. They are really not as expensive as you think! AS a child I went on a Mexican Cruise with my family, it was the best vacation we ever took. I really want to take my kids when they get a little older! Carolyn, they are never too young to go! My son was 2 when I starting taking him to Cabo. He still remembers his earlier trips there and it is our one special vacation we like to take together and he is 18 now! Thanks for visiting the Top Mexican Riviera Cruises. Viva la Mexico! 🙂 Sounds and looks amazing. It is definitely a trip to take. Thank you for your Top Mexican Riviera Cruises post. It is amazing! I loved my Mexican Riviera Cruise…was too short…that was the only downside. Glad you enjoyed reading, thanks for visiting! I had no idea that the Disney Wonder goes to the Mexican Riviera! This is great because I love Disney and especially the After Hours adult lounge – sounds amazing! I also like the idea of going to Catalina Island. A little taste of the States is great, and the town of Avalon looks lovely. Such great suggestions — and it never occurred to me to visit the Mexican Riviera until I saw your post — which is bookmarked, by the way! I have done this exact cruise, albeit with Carnival, and it was the 4 day cruise. Way too short for me, and I won’t do such a short cruise again. But I enjoyed shopping on Catalina Island (it was a cruise with the girls). Ensenada was also a fun stop. We didn’t do any shore excursions, but we still had a blast wondering and tasting the local food and drinks 🙂 Thanks for visiting the top Mexican Riviera Cruises. 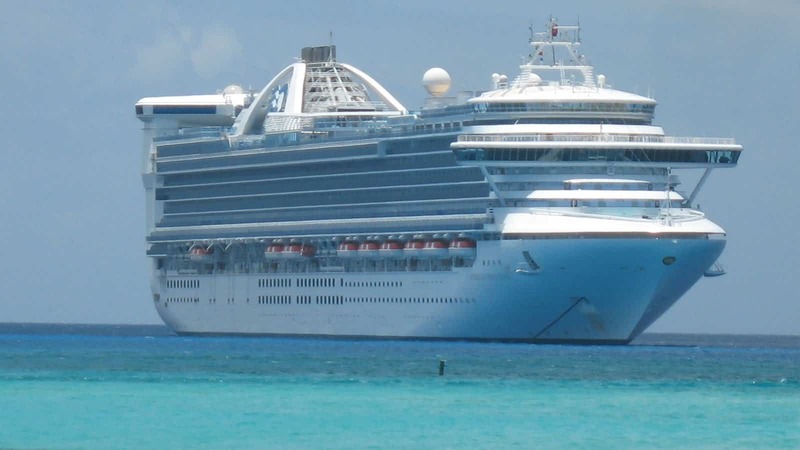 Mexican Cruises offer a lot as your webpage illustrates. Plenty of exciting places to visit in Mexico. Last time I was in Mexico, they treated Americans as the number 1 traveler in the world and said so. I think Trump has changed all of that. Good restaurants can be found everywhere if one likes Mexican food. For the most part inexpensive too. Yes, the merchants do like to bargain on their merchandise which a lot of Americans are not good at because we don’t do that too much here in the states. The biggest obstacle in Mexico is crime and drinking the water or even eating vegetables or fruits that have been washed in the water. Good webpage! I don’t know how Trump could have changed that. They still treat us pretty great in my opinion! Yes, the water has always been an issue, and we have always just drank bottled with no issues. They have really stepped up on crime in the Mexican Riviera and the Baja. It won’t be any worse than traveling any where else really. Mostly petty crime, which you will find everywhere. Thanks for stopping by! Top Mexican Riviera cruises sound very interesting and worth consideration. Hurricanes and humidity are the two factors which could potentially make things turn hectic. On one hand sounds fun to experience the ports and get to haggle for things but then the other is dealing with all crowded locations. I noticed in a couple of the images there were two cruise ships and am curious how many ships are typically at any one port? 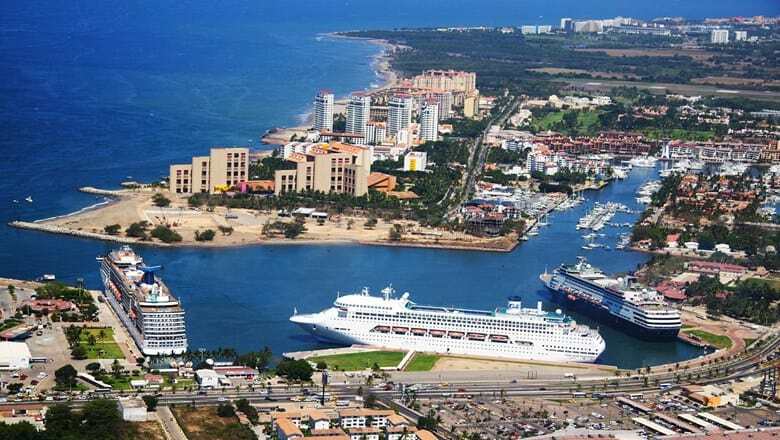 Yes, the Mexican Riviera is popular for cruise boats, and I can’t really say how many dock in at one port. I know that I have visited Cabo many times, and I have seen at most 2 in port, but that doesn’t mean they have not had more. This is a great cruise, you just have to not mind being in with the crowds unless you go off season. 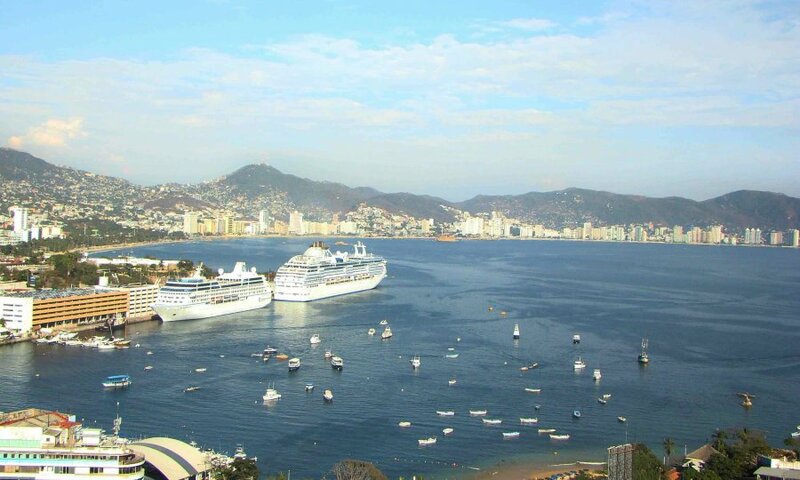 Thanks for reading about Top Mexican Riviera Cruises.